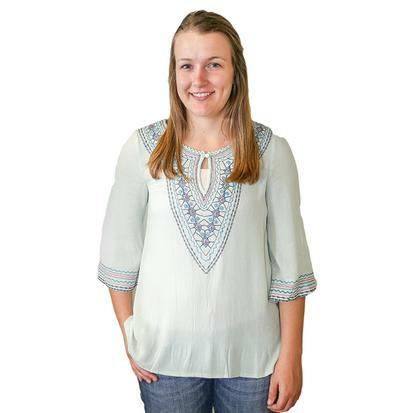 Embroidered mint keyhole blouse, designed to fit any body type, is the go to blouse for that relaxing day. 100% rayon by Navy Blue. 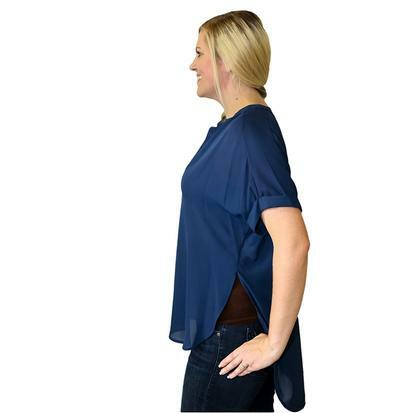 The Brenham top can be that dreamy solid top that you wear with any bottom, any time of year, three-quarter sleeve, extra-long tail in the back. Available in several colors, by Navy Blue. 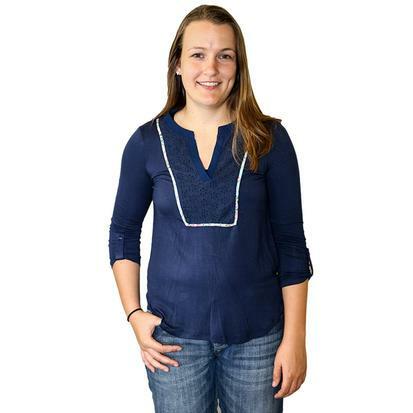 The flattering bib front all cotton blouse from Navy Blue is stylish and comes in black as well as navy blue. 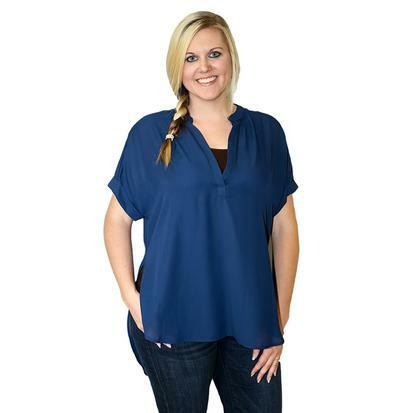 Each one is designed with a v-neck and floral design with three quarter sleeves. Just beautiful.